I watched Arrival in a packed theater with some rock star nerds, Erik Davis and David Gill among them. I’ve been waiting for a movie like this for a while. It invests heavily in storytelling, which can renew the viewers attention span. Some moviegoers thought it slow, mostly because it lacked prolonged violence or sensory assault scoring. The movie is based on a story by Ted Chaing, called “Story Of Your Life.” [Download PDF] Twelve alien ships the size of skyscrapers land on earth and open channels for communication. Trouble is, no one knows what they are saying, though the visitors seem quite patient. During the course of deciphering mutually incomprehensible languages, they discover they can communicate with writing easier than with speech, and that the aliens’ written language gives some very interesting clues into the nature of space and time. What if you could remember things that hadn’t happened yet? For flaws, the characters are a little cold. 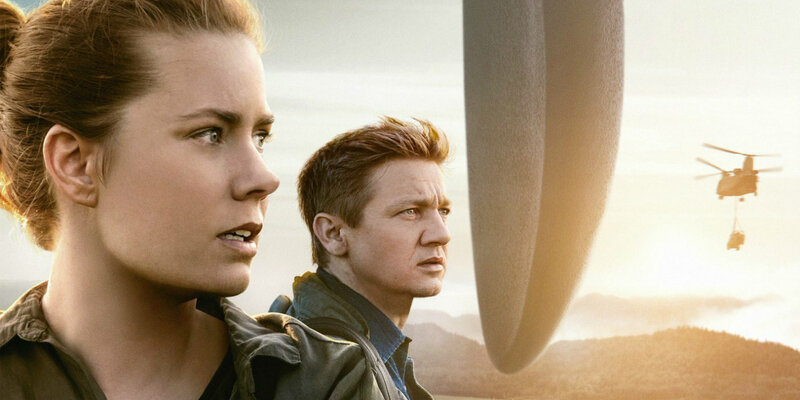 But all the while, Arrival is a deeply personal movie. Like Robert Reed’s Beyond The Veil Of Stars, or Carl Sagan’s Contact it needs to be driven by characters. Here the movie does need some shoring up. With a marked lack of violent action, the demand on actors’ faces to actually emote becomes ever more important. Amy Adams does very little with her face, from a dramatist’s standpoint; a bit more range would have been nice. She played the character flat. Most of the time, this expression. 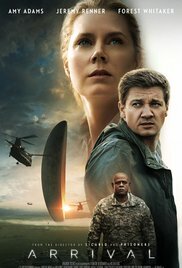 My favorite thing about Arrival was its ending. Despite the suspense, the international political tensions, the itchy military trigger fingers, the climax of Arrival can not be resolved without an increased knowledge of the human heart. The whole time the building tension of the movie is suggesting go-for-the-guns, go-for-the-guns. Yet when the time comes to cut the Gordian knot, you don’t need to go for the guns; remain calm, observant, communicative. By movie’s end, the theme and message are worth talking about, and for days afterwords. With all of our potential for destruction, how do we stay tuned to the qualities that make us thrive? Go see it and get back to me! This entry was posted in Movies, Reflection and Personal Knowledge, Science Fiction and tagged Amy Adams, Arrival, david gill, erik davis, Forest Whitaker, Jeremy Brenner, shelldive. Bookmark the permalink. 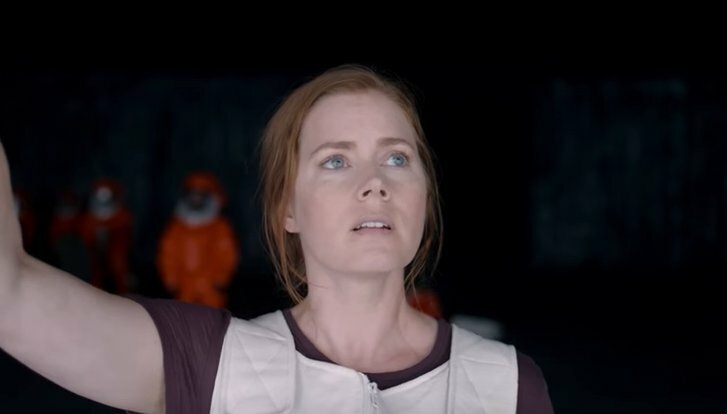 I deeply appreciate ARRIVAL, too. Loved its message of hope and resilience. And that communication and understanding can bridge a great divide and heal a broken heart. So true, Elizabeth. I am glad a film like this came along. It’s content is meaningful and thought provoking, but the film is neither ponderous nor excessive. I like it more as time goes on. Thank you for the note! Pingback: Uncanny Valley Digest: James Tiptree, Jr.